Satellites daily provide data on our own planet, our sun, and the universe around us. The instruments on these spacecraft are constantly bombarded with solar particles and intense light, not to mention the normal wear and tear from operating in space. One such flight will be the Extreme UltraViolet (EUV) Variability Experiment, or EVE, to observe the sun from a NASA Black Brant IX sounding rocket at 1:02 p.m. MDT on May 25 from the White Sands Missile Range in New Mexico. The sounding rocket flight will be the eighth calibration flight of the EVE rocket instrument. After suffering a launch vehicle failure on a flight in May 2015, the instruments were recovered, refurbished and are ready for this mission, according to Woods. The flights of the sounding rocket EVE instrument have been conducted since 2006 with the first launches to calibrate the solar EUV instrument aboard NASA’s TIMED satellite. With the launch of SDO in February 2010, unprecedented information has been received on our closest star that includes over 10 million EUV spectra and over 100 million solar images. 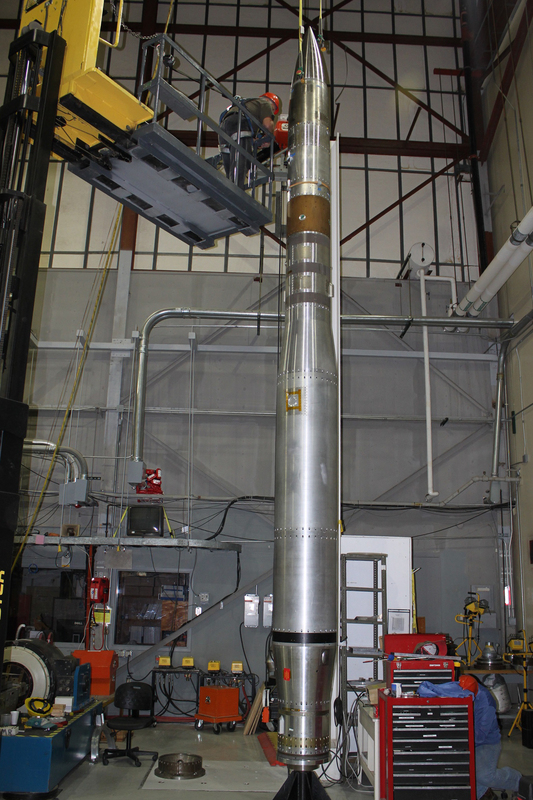 The EVE on the 56.5-foot Black Brant IX sounding rocket is expected to fly to approximately 180 miles altitude during a 16-minute flight and provide about five minutes of solar viewing time. For Woods and his team this is all the time needed to gather data for a tune-up of the various satellite instruments. The calibration rocket measurements also support the calibration and validation for several other solar soft X-ray and extreme ultraviolet spectrometers and imagers on NASA’s Thermosphere Ionosphere Mesosphere Energetics and Dynamics, Solar Radiation and Climate Experiment, Solar Terrestrial Relations Observatory, ESA/NASA’s Solar and Heliospheric Observatory, National Oceanic and Atmospheric Administration/NASA’s Geostationary Operational Environmental Satellite Program, and the Japanese Aerospace Exploration Agency/NASA’s Hinode. 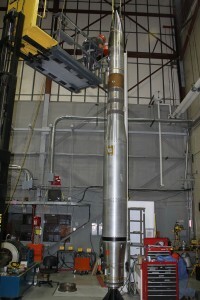 The EVE calibration mission is supported through NASA’s Sounding Rocket Program at the Goddard Space Flight Center’s Wallops Flight Facility in Virginia. NASA’s Heliophysics Division manages the sounding rocket program.